Marriage isn’t just an emotional partnership, but a financial one. When it comes to divorce, we will help you divide your assets and debts in a way that helps you achieve your financial goals. 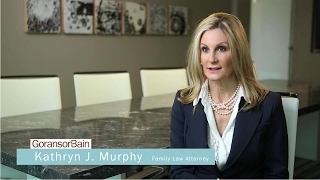 At GoransonBain Ausley, we have over 40 years of experience handling high-asset divorces. Our Austin, Dallas and Plano divorce lawyers work with you to determine what assets you acquired during your marriage that will need dividing, and what assets each party has in his or her name. This can be a daunting task. So throughout the process, we will focus on setting you on the right path to achieve your financial goals – not just on the size of your marital estate. Generally, the property you accumulate during marriage belongs to both you and your spouse – this is known as community property. Property you owned before marriage – or acquired through a gift or inheritance – is your separate property. This may seem straightforward. However, you must be able to prove that something is your separate property. And, if separate property is commingled with community property, proving separate ownership becomes more difficult. We’re here to help you understand how to prove ownership of your separate property, even in the most complex of circumstances. Discovery is the process by which you and your spouse request and exchange financial information about all your assets and debts – something you’re required to do as part of your divorce. This is usually done by exchanging sworn inventories of all the assets and debts known to you. The discovery process may be informal and voluntary, or it might involve financial affidavits, depositions and the subpoena of records. We’ll guide you through the process to make sure you – and we – have all the information needed to clearly assess your financial situation and move forward with dividing your assets. As you might expect, valuing assets such as stocks and bonds is very different to valuing property such as jewelry or wine. So when it comes to placing a value on what you have, we consult with professionals including economists, appraisers, tracing experts, real estate agents, accountants and, if needed, experts in unique items. Once we’ve determined the value of your marital estate, we help you assess risk and your current and future financial needs so that we can start making decisions about what assets will benefit you the most after your divorce. We understand that many items are more important due to their sentimental value, and will strategize ways to preserve these items during the property division. With our experience in dividing complicated assets and marital estates, you can trust that GoransonBain Ausley lawyers will help you create an effective strategy tailored to your individual circumstances. We take care to understand your current financial needs as well as your future goals, and help you secure the assets you need to meet them. Contact us to find out more about how we can help you identify and value your assets. We have offices in Dallas, Plano and Austin.